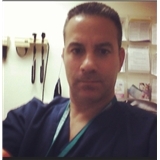 Jay Abeles DPM (Bethpage) - Book Appointment Online! Jay Abeles DPM provides the Bethpage, NY area with high quality podiatric services. Our commitment to our patients is what drives our business. We pride ourselves in offering our patients the most advanced foot and ankle care with an old-fashioned sensibility. We promise to never make you wait and offer house calls for your convenience. *We are a member of the American Barter Exchange.